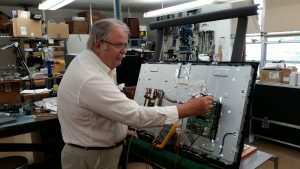 Beatty TeleVisual INC. has a knowledgeable and experienced service department which works on many brands of electronic equipment from palmcorders to large screen television sets. We will repair large screen sets on-site or in-shop, whichever the customer wishes. All other equipment is repaired in-shop. 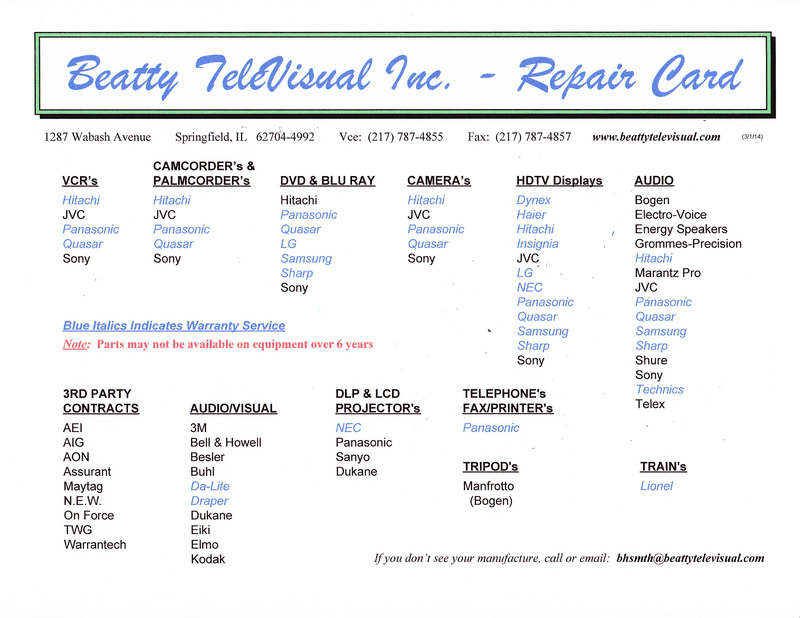 Beatty TeleVisual also repairs broken or damaged audio and video tapes.